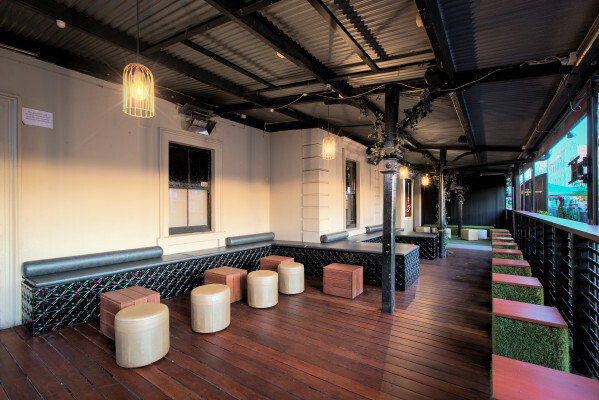 Follow the buzz to Melbourne, Australia’s own “secret garden,” a rooftop venue with an upbeat vibe. 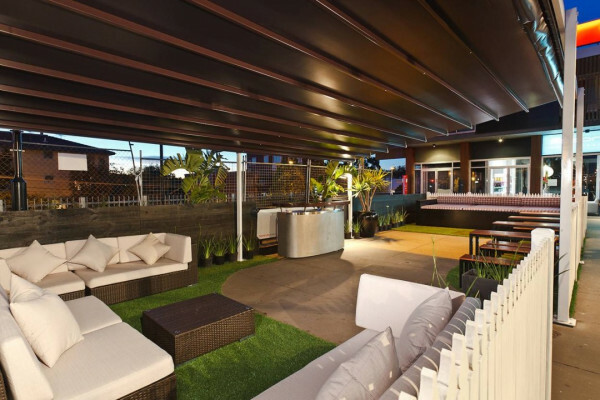 Depending on the function you’ve got in the works, the main attraction is their outdoor patio area complete with daybeds. 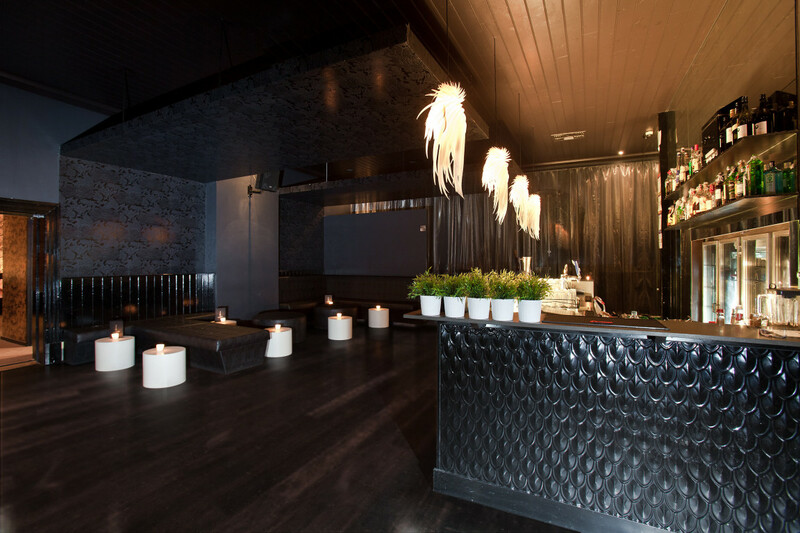 If you’d like your guests closer to the DJ hub, the Garden’s indoor spaces are equally conducive to a party, with polished wood floors, ambient lighting, and dark, masculine decor. 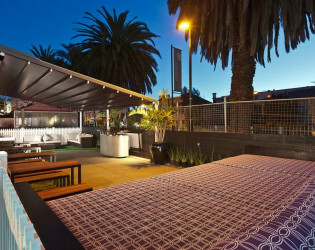 If you are planning on using a function venue St Kilda, The Secret Garden is one fantastic venue for hire. With our whimsical décor and features such as day beds, timber decking and greenery inside this hotel function venue in St Kilda will be one you and your guest will find hard to forget. The Secret Garden lends itself extremely well to events due to the fact you may find after viewing the space you do not need to go to the extra fuss and expense of decorating your event. 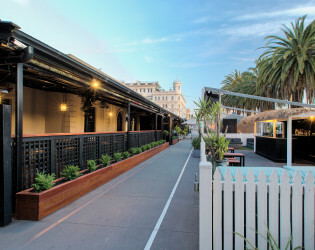 The location is also fantastic for function venues in St Kilda. Secret garden will work closely with you to provide an unforgettable experience including personalised hotel waiting staff for all of your food and beverage needs. 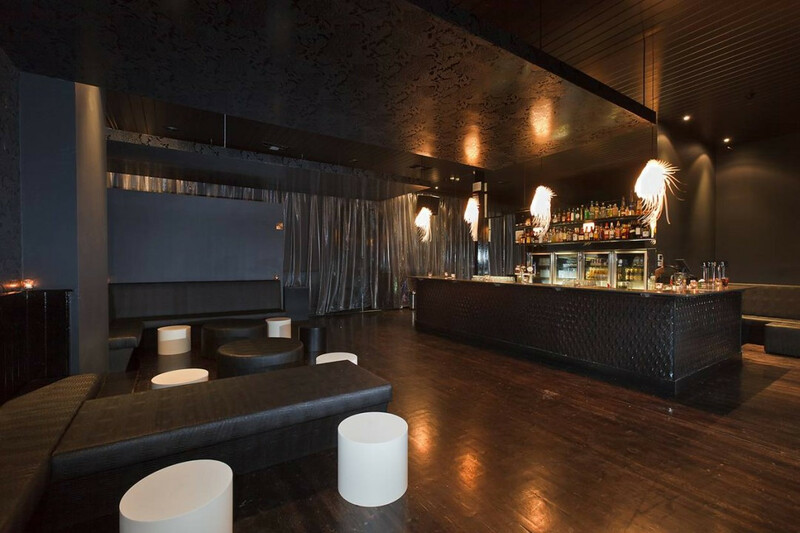 We will not give you a generic function venue for hire in St Kilda but one that will make your event shine. Let us create an unforgettable night for you. Security, Band / DJ, Decorations and any additional requirements. Price range is minimum spend, to be spent on Food and Beverages. 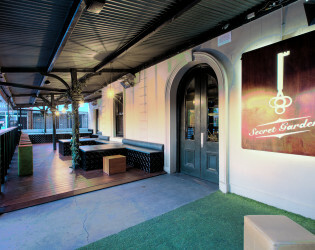 Secret Garden is famous for its out door space and modern interior. From the asian inspired bar design to the day beds, the beer gardens outside are a favorite amongst visitors. Inside, the bar has been modelled off the Secret Garden movie theme, with light fittings and wall paper to transport you to a another place. Placed behind the white picket fence, where the green grass grows. Offering lux- ury outdoor furniture, daybeds, tables and chairs, private bar, retractable roof in case of weather and waitress service. This is the perfect place for a function of 50 - 80 people. 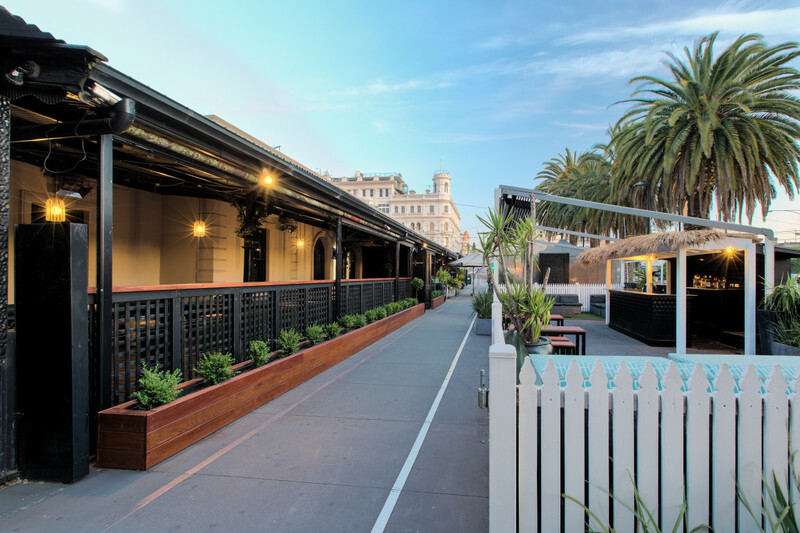 This fully sheltered and heated, polished red iron bark deck, is one of our first spots to fill up every week. 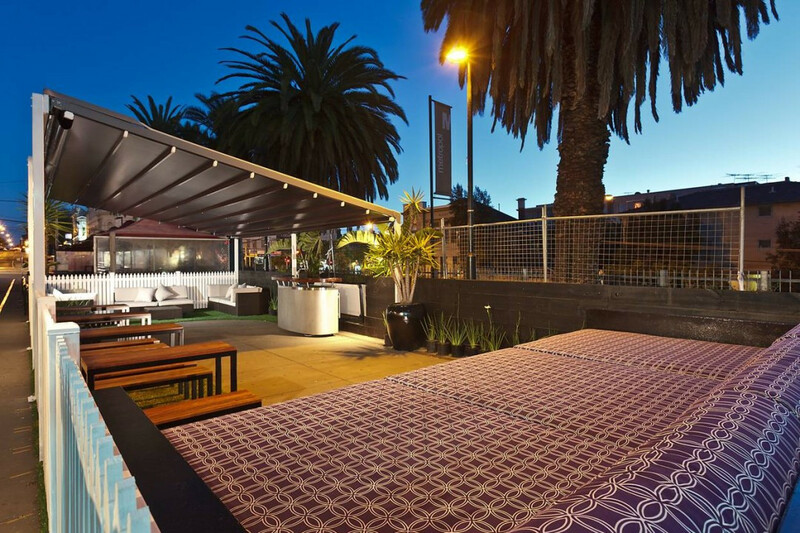 With luxury banquet seating, sheltered daybeds, red gum balus- trade, separate speaker volume and waitress service. 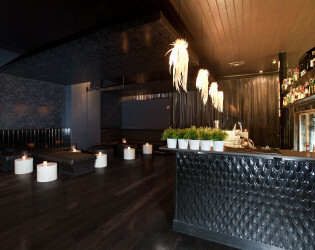 This area is very flexible and can be sectioned off according to the size of your party from 40 - 100 people. 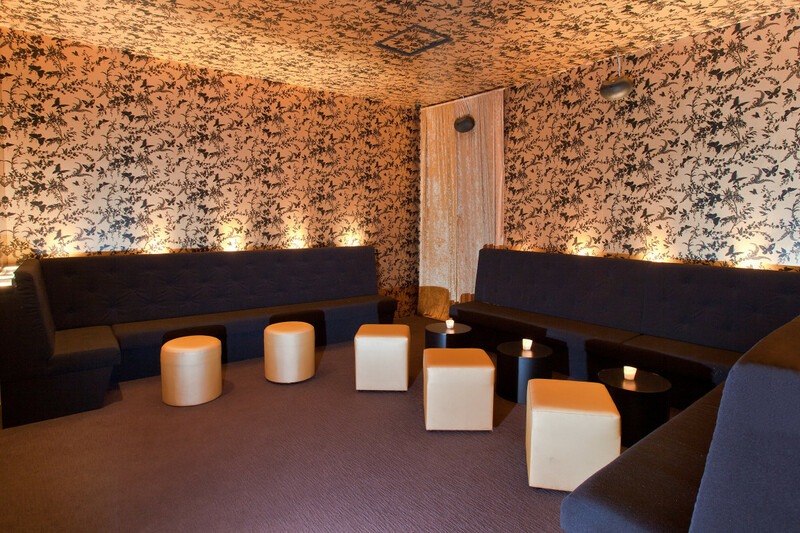 This 5 star room can be tailored to meet any of your function needs. It offers com- plete privacy, waitress services, lounge are- as, private toilet, separate speaker volume, and private security (if necessary). 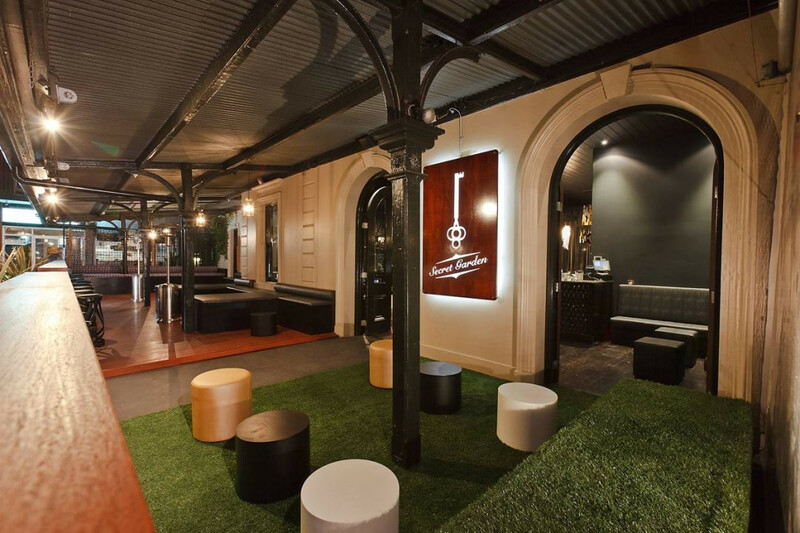 The door to the Hidden Treasure opens on to the deck for a comfortable, sheltered smoking area. 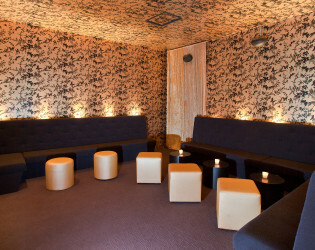 Room for 45 - 50 people, this is the ultimate Secret Garden experience. The heart of the garden, the main room, where the birds nestle in for the night. 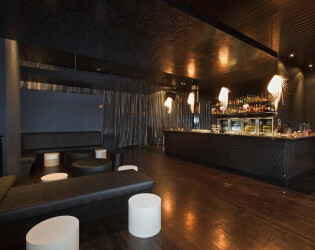 This room has the main bar, the DJ console and PA, luxury banquet seating, large ottomans and waitress service. Situated in the heart of the venue and is suited for large functions of over 100 people. Can only be booked exclusively Mon - Thurs. This intimate setting in the hedge garden is located right as you walk through the garden gates. 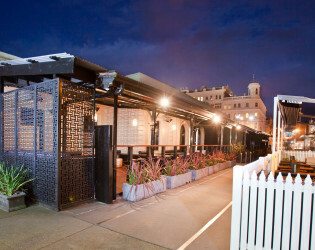 Offering the hedge seat, ottomans heating, archway walk through door to inside bar, and waitress service. Perfect for a small function of 20 - 40 people. 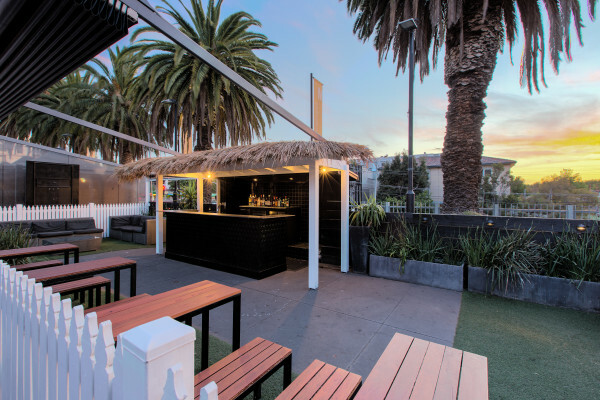 A St Kilda Bar located in the heart of St Kilda, the Secret Garden Bar is tucked away from the hustle and noise of Fitzroy Street, and is the perfect venue to escape the norms of everyday life. The Secret Garden Bar offers the tranquility of garden daybeds to relax on while sipping on one of our delectable cocktails. Sit back and enjoy a wine with friends on the timber decking outdoor area or enjoy a private occasion for a more intimate experience. Day Beds, Couches and plenty of places to get cozy. 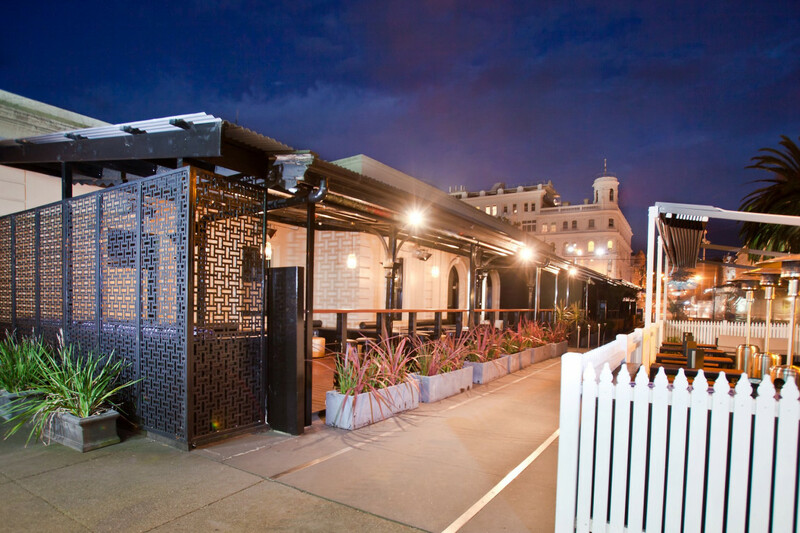 Sheltered from the elements, The Deck is the perfect space for a semi private function. 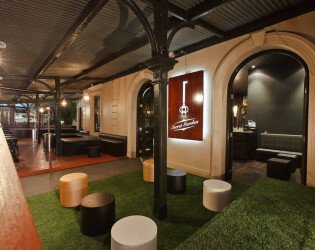 The 2 Secret Garden Bars offer Cocktails, as well as all the old favourites. Espresso Martinis are a favorite with the regulars. 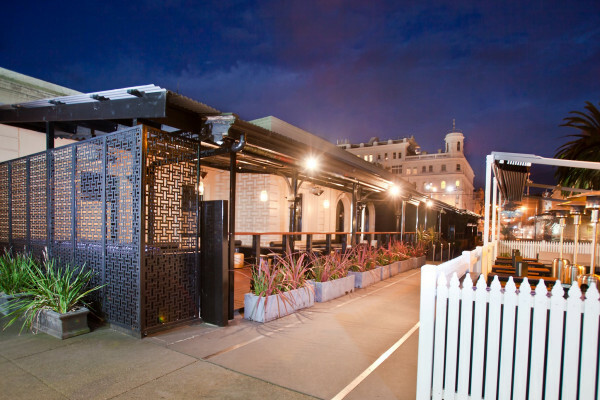 If you are planning on using a function venue St Kilda, The Secret Garden is one fantastic venue for hire. 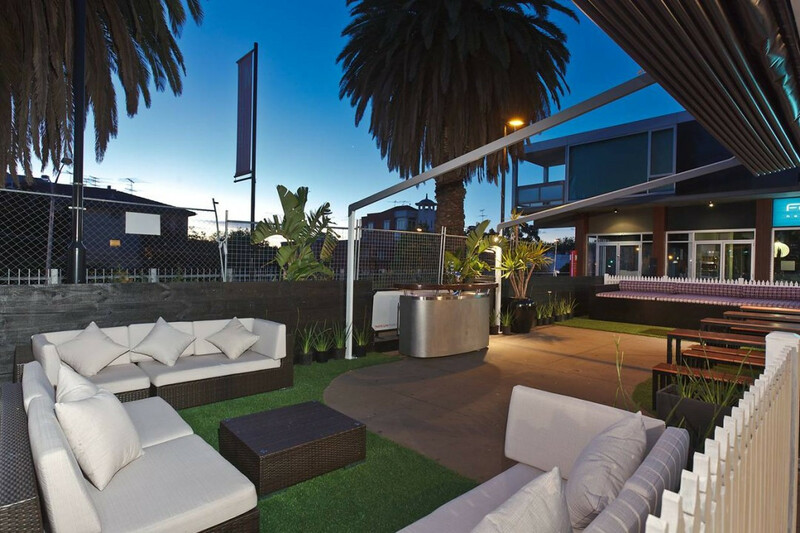 With our whimsical décor and features such as day beds, timber decking and greenery inside this hotel function venue in St Kilda will be one you and your guest will find hard to forget. 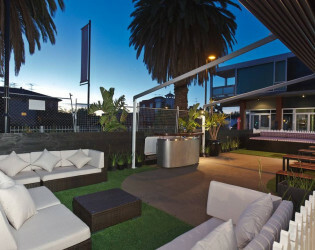 Our beer garden is one of St Kilda’s best bars with its hideaway garden and relaxing lounge beds. 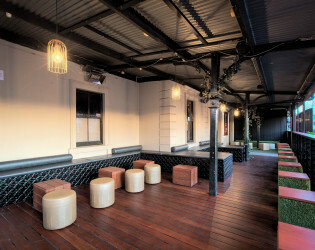 From the asian inspired bar design to the day beds, the beer gardens outside are a favorite amongst visitors. Sit back and enjoy a wine with friends on the timber decking outdoor area or enjoy a private occasion for a more intimate experience. 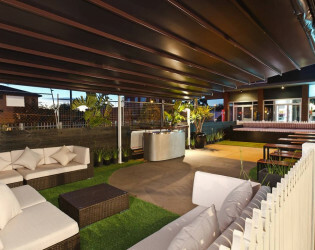 Secret Garden is famous for its outdoor space and modern interior. 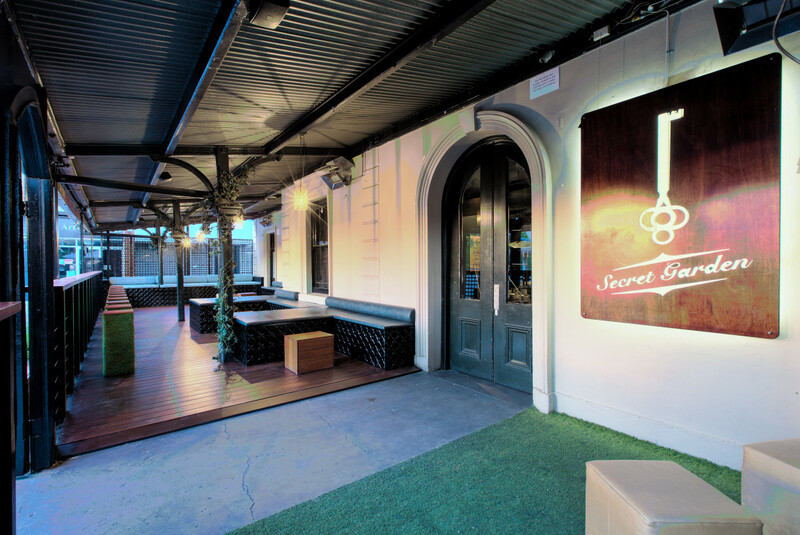 Secret garden will work closely with you to provide an unforgettable experience including personalised hotel waiting staff for all of your food and beverage needs. The Secret Garden Bar offers the tranquility of garden daybeds to relax on while sipping on one of our delectable cocktails. 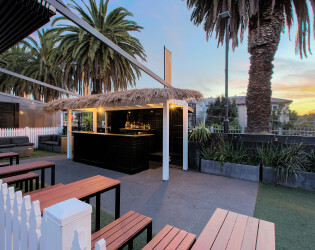 You can be sure of escaping from your everyday doldrums and finding a bar in St Kilda with whimsical décor and stunning cocktails.